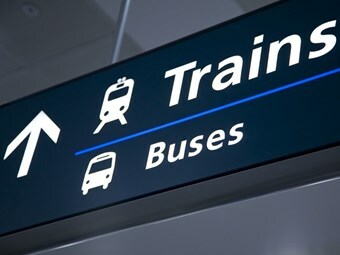 A leading transport academic has applauded the intent of the State of Australian Cities 2012 report, released this week by Federal Transport Minister Anthony Albanese, but says funding must now flow to address an infrastructure backlog. Institute of Transport and Logistics Studies Adjunct Professor John Stanley says the report shows an awareness and understanding of the problems and their complexity faced by Australia’s major cities. "The policy intent that the Federal Government is showing is really good, but unless there is the financing and the funding to back it up then we are not going to be able to achieve the sorts of transformations we need to make our cities remain highly liveable," Stanley says. He says the impact of the Federal Government’s research into major cities will be seen when ‘serious money’ is found to support infrastructure investments. "We’ve seen the start of that through the Infrastructure Australia process, and Victoria’s regional rail link has been allocated $3 billion out of that," Stanley says. "And the Federal Government’s multi-billion dollar nation building program which is planned to start in 2014 is also important. "But we’ve got a massive infrastructure backlog, so we’ve got to find new ways of funding if we are going to make a big dent in that." Stanley says Australia’s major cities would drive the national economy into the future based on massive recent growth in the ‘knowledge economy’, referred to by Albanese in the report. "The knowledge economy is growing and centralising while manufacturing is tending to decline and that means people are commuting longer distances now to more central jobs," he says. He adds rail’s share of the public transport task has consequently grown as central business districts grow again. "Rail’s share has grown because of structural changes in the economy," Stanley says. But bus, too, has also grown particularly in Melbourne, where urban bus services have increased by 70 percent in the past seven years. But Stanley points to rail as leading the way. "You will see the same trend in other cities where the knowledge economy grows and centralises, rail grows." And good news for public transport advocates, including Stanley, is the decline in private car use on a per capita basis across Australia’s major cities. But that means Australia’s major cities must remain ‘liveable’, and is the crux of Stanley’s argument to provide alternative forms of funding for infrastructure and services. "We still have to tackle the problem of the lack of courage to take the decisions to fund the infrastructure and service improvements needed to really make transformational changes," Stanley says. "Change is happening, but it’s slow."